With off shoulder tops being so trendy at the moment, and with designers like Lisa Folawiyo and the likes exploring it in their collections, I can't seem to get enough of it. 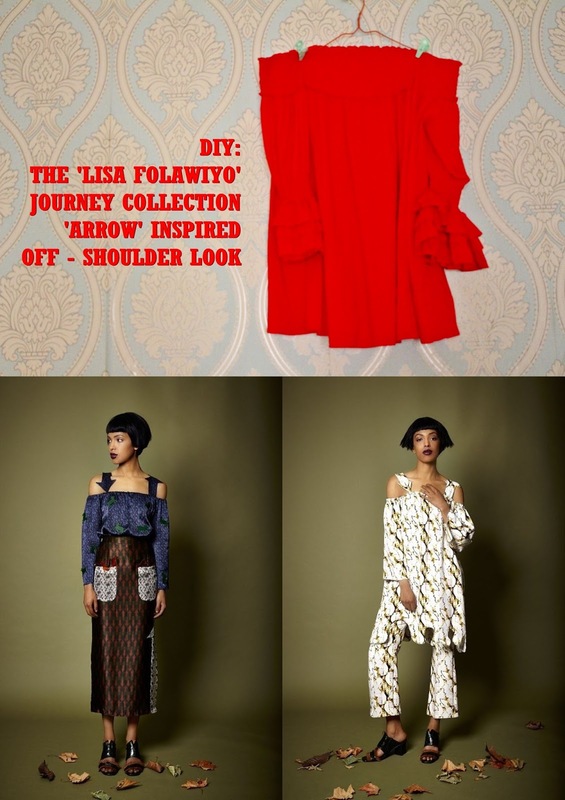 Off the shoulder tops can be pretty basic and everywhere and since its one of our aims at Deemako.com to explore our creativity and teach you how to stand out in a world in which we all look alike, I decided to DIY an off shoulder dress, with the lisa folawiyo journey collection as the inspiration. 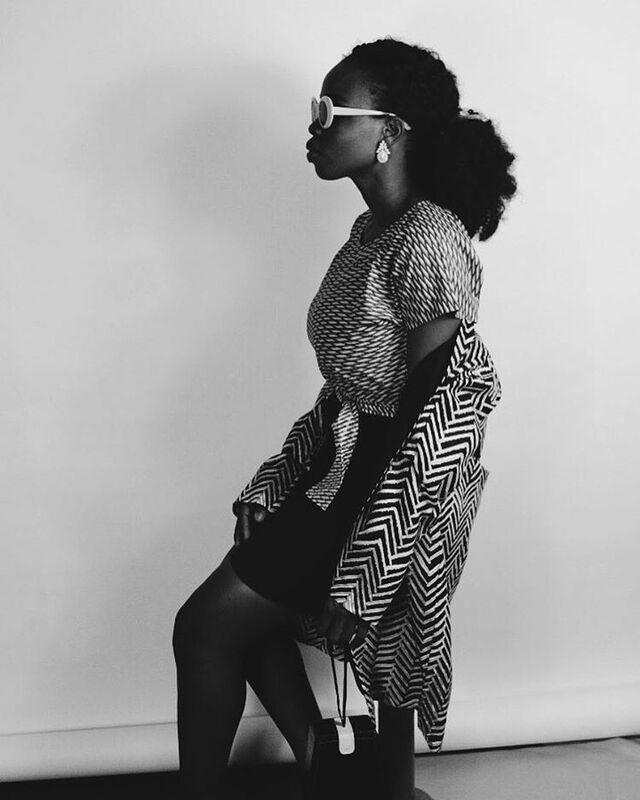 also apart from the off shoulder trend being one that is very out there right now, the arrow detail is also one that can be seen in most accessories, from sunglasses to bags and even pendants. bearing this in mind, this DIY is such a win. Lay your top flat and find the middle, mark the middle of both sides also to get where your strap will be attached from. Lay the arrow template on the double fold piece of cloth and cut adding sewing allowance of one inch. Lay the template again on the gum stay and repeat step 3.
iron the gumstay on the fabric and sew the back ends, fold it out from the smaller ends. when you are done with both sleeves, sew them unto the already marked part of the top and voila. you have your new off shoulder top. My top was from @thehdhqv and I chose a big top because at the end of the day what would matter would be your sleeve positioning. I also went with an old polka fabric that went perfectly with the top. My arrows weren't perfect but that didn't also matter at the end of the day. It turned out good and brilliant. Watch out for pictures on how i rocked the top and also more DIYs on the blog so stay tuned.